M.I.A. in Montreal or Quebec City? Inform me about the next events for M.I.A..
Enroll yourself to our priority waiting list for M.I.A. to be alerted when new tickets are available. Filling this form doesn't engage you to any purchase. M.I.A. will be in Montreal on September 21st, 2010, for a concert at Metropolis. The excentric Sri-Lanka pop sensation released her third studio album, Maya (/\/\ /\ Y /\), last July. 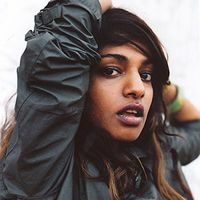 This new record followed up on her popular sophomore album Kala, which gained huge momentum thanks to her hit Paper Planes, which was featured on the soundtrack for the Oscar winning movie Slumdog Millionaires.